Domestic Priority Mail takes up to three days to reach its destination. Priority Express is overnight delivery, and Priority International takes up to 10 days to arrive at the destination. Domestic Priority Mail is a delivery service offered by the United States Postal Service (USPS) that ships to all 50 states as well as U.S. territories and military addresses. The length of time it takes for a package or envelope to reach its destination depends upon the postal facility from where it leaves to where it is being sent. The USPS estimates that domestic Priority Mail takes between one and three days. The postal service does offer an interactive online shipping map to provide an estimate of how long it will take for a package to ship. For example, a package shipped from South Florida to Wyoming can take up to three days, while a package from South Florida to Tennessee takes up to two days, and a package shipped within only a few miles may arrive within one day. Domestic Priority Mail is priced based on weight and destination unless the shipper uses a flat-rate envelope or box. Flat-rate packaging is one price no matter how much the package weighs or where it is shipped as long as the package can seal securely and completely. The amount of time it takes to ship flat-rate packaging is the same as weighed and paid packaging. Priority Mail benefits include free tracking and insurance up to $50. In the event that mail services are disrupted or running longer than usual due to high mail volume, the USPS will post updates on its website. The USPS Priority Mail Express is the overnight service offered by the post office. 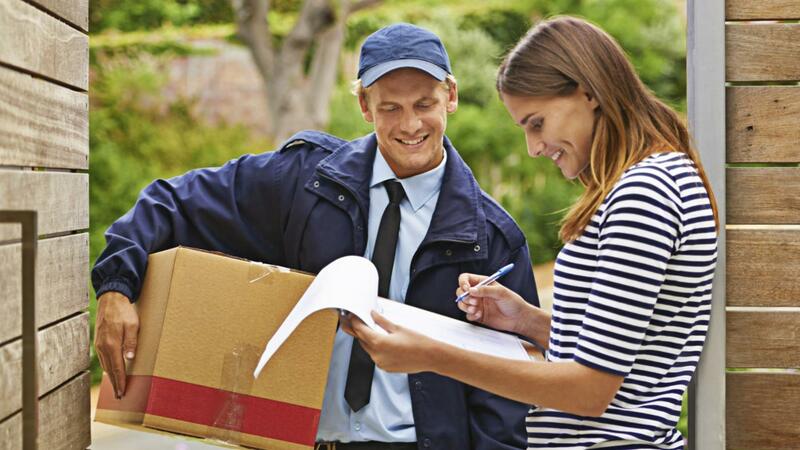 This is a domestic service that offers a money-back guarantee for overnight delivery and provides free tracking of up to $100 and, if requested, free signature acceptance upon delivery. Flat-rate packaging is available for express delivery up to 70 pounds. There is no additional charge for a Saturday delivery, but there is an additional fee for a Sunday or holiday delivery request. Additional insurance, cash on delivery and a return receipt are all available options for an additional fee when shipping Priority Express. One benefit of using Priority Express is that if a package or envelope is returned by the recipient, the USPS will send it back using Priority Express, ensuring that items are returned quickly. When sending a package or envelope out of the U.S., Priority Mail International takes between six to 10 days for shipment. International mail goes to more than 180 countries, and Priority International offers free tracking and up to $100 of insurance for documents and $200 for gift items. Priority Mail International Express is a service offered to provide a shorter delivery time to international addresses. The express service isn't as long for USPS Priority Mail and will deliver in three to five days for international addresses. Express also includes free tracking and insurance and has a money-back guarantee for some destinations. International Priority Mail offers flat-rate packaging for certain packages, while other packages are priced based on weight and destination. How Do You Calculate the U.S. Mail Delivery Time? How Do You Ship Alcohol Overseas? How Long Does It Take the USPS to Deliver a Package?